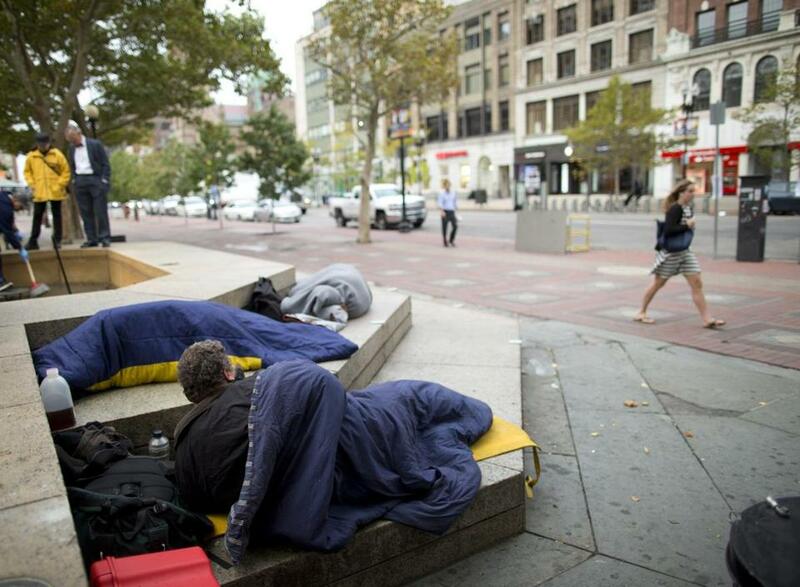 The study, published Monday online in the journal JAMA Internal Medicine, looked at 445 unsheltered homeless adults who were “sleeping rough” in 2000 and followed what happened to them over 10 years. One hundred and thirty-four of them died. “Mortality rates for unsheltered homeless adults in this study were higher than those for the Massachusetts adult population and a sheltered adult homeless cohort with equivalent services. This study suggests that this distinct subpopulation of homeless people merits special attention to meet their unique clinical and psychosocial needs,” said the study, whose lead author was Jill S. Roncarati, a researcher at the Harvard T.H. Chan School of Public Health. The findings demonstrate “how much more vulnerable this group is,” Roncarati said in an e-mail. Researchers said they found that the most common causes of death were noncommunicable diseases (such as cancer and heart disease), alcohol use disorder, and chronic liver disease. Previous studies have shown that there are higher mortality rates among the homeless, but this one looked at rates for the subgroup of those living on the streets, a “population that wanders across our urban landscapes,” which has made data difficult to gather, the study said. An estimate from one night in January 2017 found that across the United States nearly 193,000 were sleeping outside, the study said. The study said “a patient-centered, outreach service model with integrated medical and behavioral health care delivered directly to the unsheltered population” was needed. “Roncarati et al remind us about the heterogeneity of the homeless population and document the deadly repercussions of rough sleeping. Their work shows that, while access to housing remains the linchpin to address homelessness, the need for immediate, diverse, and innovative solutions is urgent,” he wrote.